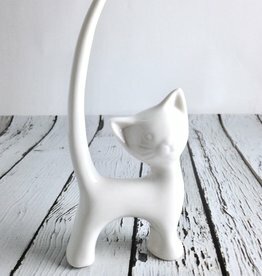 Stoneware Cat Ring Holder Adorable kitty holds your rings neatly on your bedside table, in your bathroom, anywhere in your home. 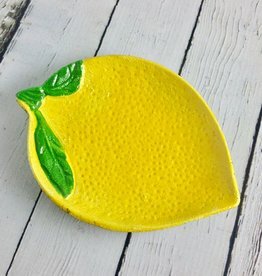 Measures approximately 3.25” x 5.75”. Perfect catch-all for jewelry, keys and change. 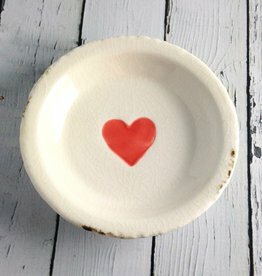 Sweet lil’ terra cotta plate with hand painted heart and distressed cream glaze finish. 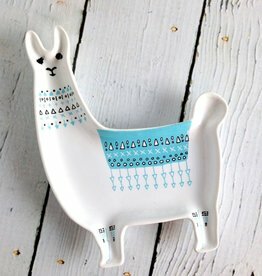 Perfect for holding your jewelry, watch, or keys at the end of a long day. 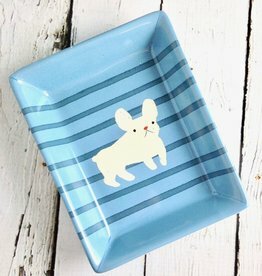 Measures approximately 5” x 5”. 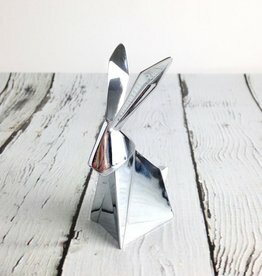 This origami rabbit is perfect for hanging your rings and baubles on. 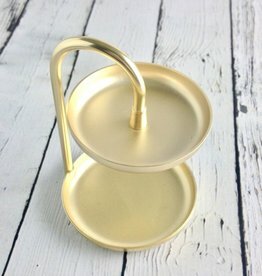 Two tier ring dish for storing rings, earrings and small accessories. Plated metal in a matte gold finish. 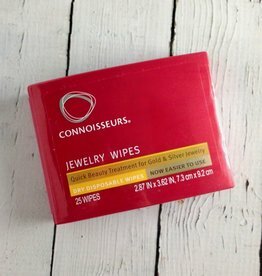 Set of 25 dry disposable wipes for cleaning gold and silver jewelry. You can use them so many times! This box will last forever! 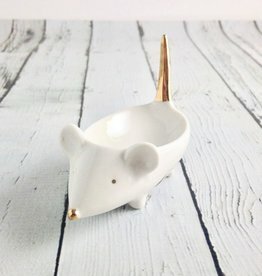 Perfect for holding your jewelry. 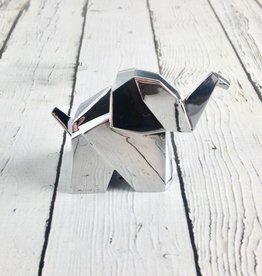 This origami elephant is perfect for hanging your rings and baubles on.